In various industrial processes we make use of motors to drive machinery. In many industrial applications of batch processing or bulk production systems, a conveyor belt passes a product through various machines to get the final finished product at the end. So in such cases the synchronization between machines is vary important in order to get desired output. 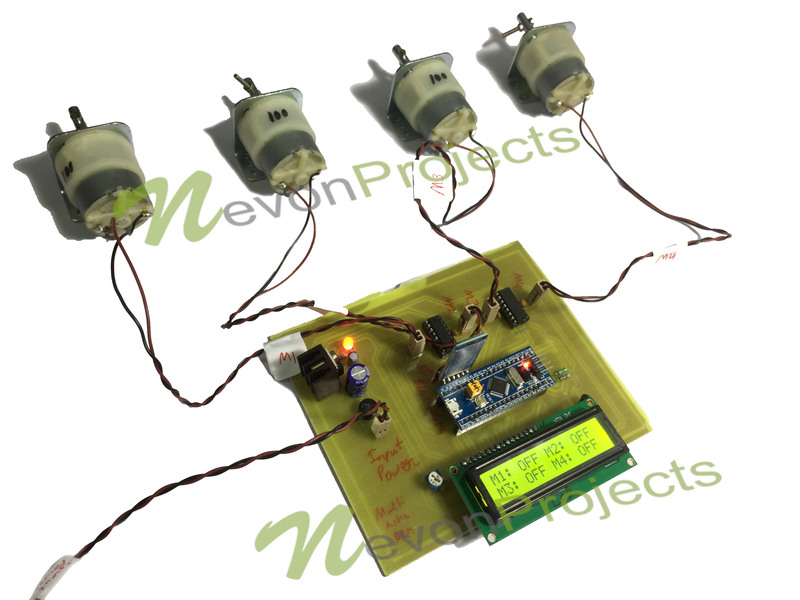 For this purpose we demonstrate the synchronized multi motor speed controller system that controls multiple motor speed at the same time to achieve desired synchronization. 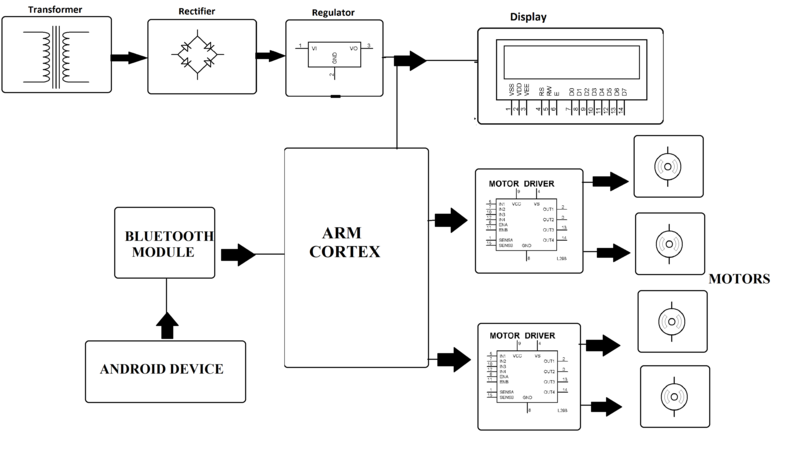 For this purpose we use an ARM Cortex to achieve multi motor speed control by supplying PWM to multiple motors at the same time. Here we use android application to serially send user commands to the cortex through our circuit. User can send speed control instructions for each motor through easy to use GUI. Now the circuit system receives the commands through Bluetooth receiver and then operates the motors to run at user desired speed by supplying appropriate PWM to each motor. The system keeps track of speed needed for each motor and simultaneously supplies necessary PWM to control motors as per users desire. 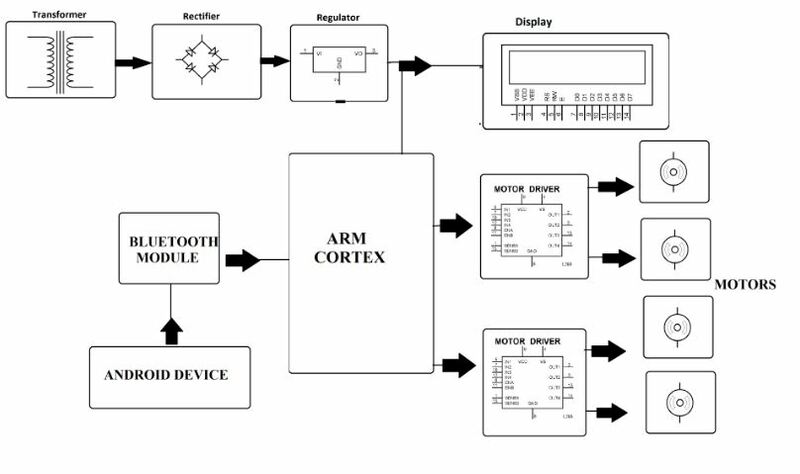 Thus we demonstrate multi motor synchronization using ARM cortex.